We will be live blogging the Navy-Air Force game from Annapolis, MD this afternoon where the Midshipmen (3-0) will host Air Force (2-1) in the first leg of the Commander-in-Chief's Trophy battle. Today's kick off is scheduled for 3:30 PM. 7:02 PM - The final out of Annapolis, Navy 33-Air Force 11. The Mids will sing last. 7:01 PM - The Brigade has started the "I believe that we will win!" cheer. 6:59 PM - If the score holds, this will be the largest margin of victory in a win over Air Force since 1978 when Navy defeated the Falcons 37-8. 6:58 PM - Navy takes a delay of game penalty and bring Austin Grebe in for the field goal. Grebe's 24 yard attempt is good and Navy leads Air Force, 33-11 with less than 2 minutes remaining in the game. 6:57 PM - Fourth and goal Navy on the Air Force 2 yard line. 6:53 PM - Keenan Reynolds with a 40 yard carry down the sideline to the Air Force three yard line. Reynolds has 183 yards rushing in the game. 6:48 PM - Air Force is forced to punt on 4th and 14 from their own 20. Navy fair catches the punt at their own 45 yard line where they take over first and ten with 5:57 left in the game. 6:41 PM - Austin Grebe kicks a 37 yard field goal to give Navy a 30-11 lead with 8:00 remaining in the game. Navy's scoring drive was 9-56-5:46. 6:37 PM - Reynolds runs for 8 to get the Navy first down. Navy is now 20-20 on fourth down attempts against Air Force the past 10 years. 6:37 PM - Navy takes a time out facing a fourth and one at the Air Force 33 yard line. 6:33 PM - Keenan Reynolds completes a 33 yard pass to Craig Scott down to the Air Force 42 yard line. 6:29 PM - QB Karson Roberts finds the end zone from one yard out for an Air Force TD. Roberts then scores on the two point conversion attempt to cut Navy's lead to 27-11. The score was the first rushing TD Navy has given up this year. The Air Force drive was 11 plays for 53 yards and took 3:25 off the clock. 6:28 PM - Bertrand is taken from the field on a cart. 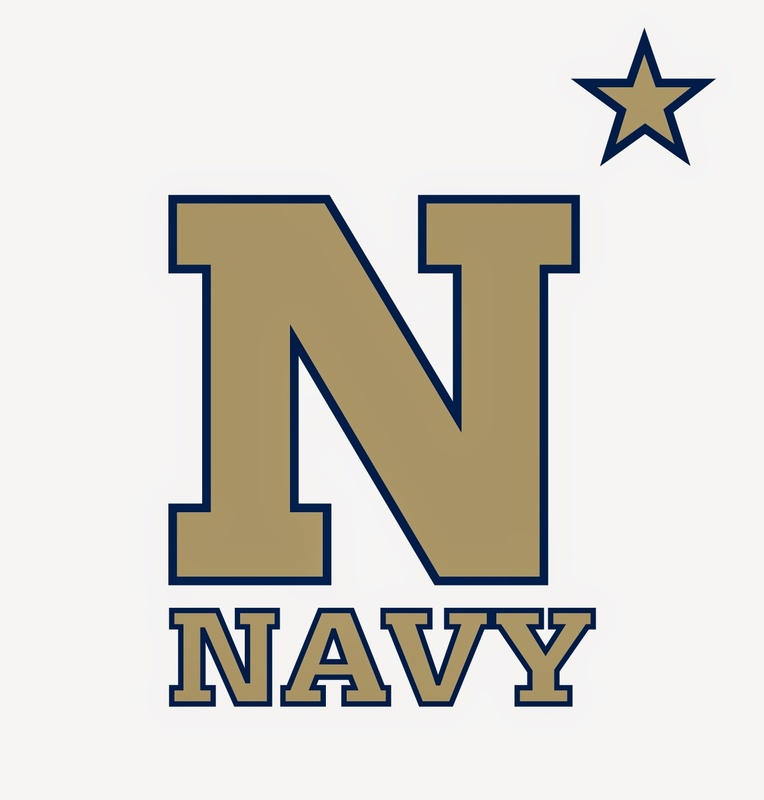 6:24 PM - Navy's Kwazel Bertrand, a senior defensive back is down with a leg injury after making a tackle on the goal line. It appears to be a broken leg which is a huge loss for Navy. 6:22 PM - First and goal Air Force at the Navy 8 after a nice run from Brown. 6:18 PM - The rain is back here at Navy-Marine Corps Memorial Stadium. This will make for a messy fourth quarter. At the end of the 3rd quarter, Navy leads Air Force, 27-3. 6:15 PM - Roberts completes another pass to Brown for 18 yards down to the Navy 33. 6:13 PM - Reynolds is sacked on third-and-six and the Falcons force another three and out for Navy. Air Force fair catches the punt at their own 47 yard line. 6:08 PM - Fourth down Air Force on the Navy 21. Drew Oehrle kicks a 39 yard field goal to get the Falcons on the board. With 4:14 remaining in the third quarter, Navy leads AF 27-3. 6:07 PM - Roberts has completed 3 passes on this drive to the Navy 21. 6:05 PM - Karson Roberts completes a 34 yard pass to Garrett Brown to the Navy 37. 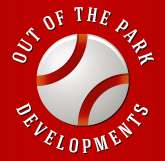 6:04 PM - The play was overturned. Incomplete pass and second down Air Force. 6:00 PM - On Air Force's first play following Navy's punt, they muff a backwards pass that is recovered by Navy's Will Anthony at the 21 yard line. That is Air Forces fifth turnover in the game. The play is under review. 5:57 PM - Navy is forced to punt for the fourth time in today's game after not being able to get a first down. Air Force takes a fair catch at their own 29 yard line down 27-0 with 6:21 left in the third quarter. 5:50 PM - Three and out for Air Force. They punt to the Navy 17 where it is downed after traveling 53 yards. The Navy defense has held the Air Force offense to just 146 yards in today's game. 5:43 PM - Navy decides to go for the TD and Chris Swain doesn't disappoint with a 1 yard TD rush up the middle. Grebe misses the PAT (the first of his career after making 60 consecutive kicks). Navy leads the Falcons 27-0 with 9:26 remaining in the third quarter. 5:41 PM - Navy has a 4th-and-goal at the 1 yard line. Navy takes a time out to discuss their next play. 5:39 PM - Reynolds completes a 31 yard pass to Dishan Romine to the Air Force 4 yard line. 5:37 PM - Navy fullback Chris Swain is averaging just 3.2 yards per carry in today's game. Air Force has really contained that option in the Navy offense. 5:36 PM - Pass interference on the Falcons. First down Mids at the Air Force 28 yard line. 5:33 PM - DeBrandon Sanders picks up a 15-yard carry down the Navy sideline for a Midshipmen first down at their own 44 yard line. 5:31 PM - Air Force kicks off to start the second half. The kickoff travels into the end zone and Navy will start at their own 25 yard line. 5:09 PM - At the half, Navy leads Air Force 21-0. 5:08 PM - Today's announced attendance is 32,705. I see a lot of empty seats. 5:06 PM - Navy forces a 3 and out and Air Force runs all the time off the clock possible before punting. The Falcon punt is downed at the Navy 18. 5:03 PM - The wind is picking up and blows the ball off the tee. Air Force returns the kickoff 24 yards to their own 34 yard line. 5:01 PM - Demond Brown takes a pitch off the right side for a 1-yard TD run. Grebe kicks the PAT and with 2:58 remaining in the half, Navy leads 21-0. 4:57 PM - Keenan Reynolds breaks off a 67 yard carry down to the Air Force 1 yard line. Reynolds now has 130 yards rushing on 9 carries in the game. 4:56 PM - D.J. Palmore recovers a Garrett Brown fumble and Navy takes over on their own 32. Fourth straight possession with a turnover for Air Force. 4:52 PM - Navy punts the ball out of bound on their own 35 yard line for a 28 yard punt. First down Air Force with 5:08 left in the half. 4:48 PM - After an intentional grounding call, Navy has a 4th-and-21 and are forced to punt from their own 7 yard line. Navy has just 7 points off the three Air Force turnovers in the game. 4:45 PM - Karson Roberts' pass was intercepted by Brendon Clements at the Navy 18. The Mids have the ball with 6:48 remaining in the half. Air Force has three turnovers in today's game. 4:40 PM - Navy is unable to move the sticks and are forced to punt from their own 11. Garrett Brown returns the ball 15 yards to the Navy 41 yard line. 4:36 PM - Will Anthony forced an Air Force fumble his second of the game, and Kwazell Bertrand recovered. Navy takes over first and ten at their own 16 yard line. Turnovers are killing the Falcons in the game. 4:32 PM - Air Force is methodically moving the ball down field against Navy. They've run 11 plays for 45 yards on their current drive moving the ball to the Navy 22 yard line. 4:29 PM - Garrett Brown carries for six yards for a Falcon first down. 4:29 PM - 4th-and-1 Air Force on the Navy 47 yard line. It's loud! 4:23 PM - Air Force returns the kickoff 30 yards and they take over 1st-and-10 on their own 33. 4:19 PM - Reynolds completes a 27 yard TD pass to WR Thomas Wilson giving the Mids a 14-0 lead in the game. The TD pass was Reynolds' 25th TD pass in his career, good for 3rd all-time at the Naval Academy. The school record is 29 TD passes. 4:15 PM - Navy just honored the 1960 Navy Orange Bowl team on the field between quarters. The 1960 team went 9-2 that year and were lead by Heisman Trophy winner, Joe Bellino. 4:14 PM - At the end of the first quarter, Navy leads Air Force 7-0. The Mids have the ball 2nd-and-11 at the Air Force 27 yard line. 4:11 PM - Reynolds completes a 26 yard pass to DeBrandon Sanders to the Air Force 37 yard line. That was the first pass completion by either team in the game. 4:09 PM - Keenan Reynolds under pressure couldn't complete a pass to a wide open Jamir Tillman who would have scored easily. It's 3rd-and-9 on the Navy 37. 4:05 PM - Air Force's Jacobi Owens couldn't handle the pitch from QB Karson Roberts and the ball was recovered by Navy's Kwazel Bertrand. Navy takes over on their own 36 yard line with a 7-0 lead over the Falcons. 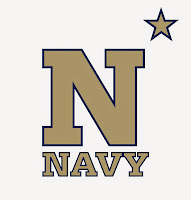 3:59 PM - Navy could not get a first down and they are forced to punt from their own 3 yard line. The snap was bobbled yet the Mids were still able to get off a 36 yard punt. Air Force takes over on the Navy 39 with 4:06 remaining in the first quarter. 3:58 PM - Navy and Iowa are the only two teams not to have allowed a rushing TD this year. 3:57 PM - Navy holds Air Force at the goal line and takes over on downs at their own 1 yard line. 3:56 PM - Air Force has the ball fourth-and-goal on the Navy 1 yard line. 3:55 PM - Jacobi Owens carries the ball to the Navy 9 yard line on a pitch to the right side for 15 yards. 3:54 PM - Air Force is moving the ball down the field on the ground against Navy. They are using a hurry-up offense and have moved the ball to the Navy 41 yard line. 3:49 PM - Chris Swain scores Navy's first TD of the game from 2 yards out. Austin Grebe kicks the PAT and Navy leads 7-0 with 11:05 remaining in the first quarter. Navy's drive eclipsed 67 yards on just 5 plays. 3:46 PM - Chris Swain carries two Air Force defenders for eight yards to the 1 yard line. First and goal Navy. 3:43 PM - Navy QB Keenan Reynolds breaks a big 54 yard run on the Mids' first play from scrimmage. Navy has a 1st-and-10 at the Air Force 13 yard line. 3:42 PM - Three straight runs gain only 8 yards and Air Force is forced to punt on their first series. Navy takes over on their own 33 yard line. 3:40 PM - The kick off goes into the end zone and Air Force starts at their own 25 yard line. 3:38 PM - Navy won the coin toss and have deferred to the second half. Air Force will have the first opportunity to put points on the board in this huge rivalry. 3:15 PM - The brigade of Midshipmen begin their march-on on a windy, rainy, overcast afternoon.